Stochast1c OnenWhat is the file to change the MGE overlay's font/size? I know it's possible, for huds like HUDAS Iscariote have that feature. [quote=Stochast1c][quote=Onen]What is the file to change the MGE overlay's font/size? I know it's possible, for huds like HUDAS Iscariote have that feature. Also, one more thing. How would I go about fixing this? tried making a small team indicator like Rays did in his hud from scratch thing, but for some reason mines the wrong color. it works fine on red team but when i switch to blu it's a purple color. anyone know what would cause it? Thanks a lot, man. Cheers. does anyone at all know a fix?? Mighty NokkEdit the positioning and size of HudDemomanPipes in hudlayout.res to fit your needs. Then you can move each property within the box in huddemomanpipes.res. I tried to do that, but when doing hud_reloadscheme after I changed the values, vgui_drawtree 1 showed that huddemomanpipes was in the same place and nothing changed. And no, I didn't forget to save. Man you've literally posted the same comment like five times with 0 pictures of what you have or what you want to achieve. So post pictures or just stop posting the same comment over and over. What exactly are you trying to move? The charge meter? Because you've got the xpos and ypos of ChargeMeter set to 0 and 1 so it'll be in the corner. I assume you've been doing that so give us some screenshots. omni Mighty NokkEdit the positioning and size of HudDemomanPipes in hudlayout.res to fit your needs. Then you can move each property within the box in huddemomanpipes.res. I tried to do that, but when doing hud_reloadscheme after I changed the values, vgui_drawtree 1 showed that huddemomanpipes was in the same place and nothing changed. And no, I didn't forget to save. I'm trying to move and resize HudDemomanPipes through the entry in HudLayout.res in order to have the shield charge meter in-line with the others. The charge meter itself moves freely WITHIN HudDemomanPipes and works as its supposed to, but when attempting to move it outside of huddemomanpipes it gets cut off by the huddemomanpipes 'Panel'. For some reason, the size and position of huddemomanpipes is NOT changed by the HudLayout.res entry. how do I make the target id team colors look more opaque? is there an alpha value I can change somewhere? Mighty omni Mighty NokkEdit the positioning and size of HudDemomanPipes in hudlayout.res to fit your needs. Then you can move each property within the box in huddemomanpipes.res. I tried to do that, but when doing hud_reloadscheme after I changed the values, vgui_drawtree 1 showed that huddemomanpipes was in the same place and nothing changed. And no, I didn't forget to save. 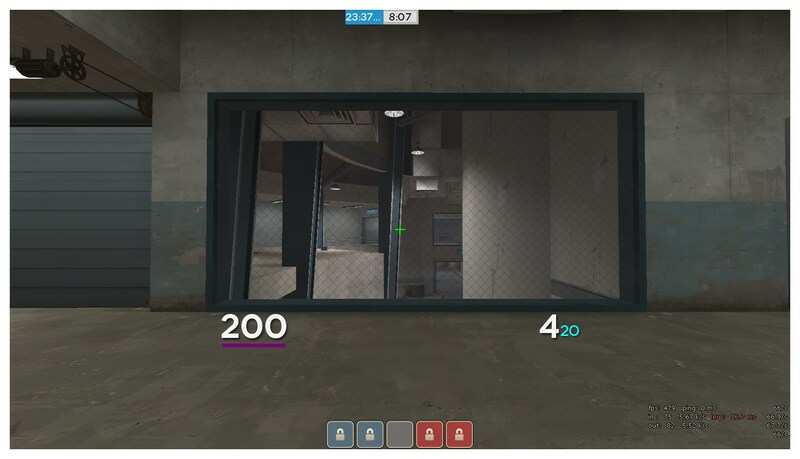 I just moved and changed the size of demoman pipes no problem on a hud that I've made. I dunno how you've got a problem with it. At this point I want to say just send me the hud files and I'll fix it myself for you. This bothers me more than it should. How do move? That's in resource/ui/hudobjectivestatus, more specifically the delta_item stuff. How do you remove the killstreak count in both the scoreboard and by the health? _Kermit Mighty omni Mighty NokkEdit the positioning and size of HudDemomanPipes in hudlayout.res to fit your needs. Then you can move each property within the box in huddemomanpipes.res. I tried to do that, but when doing hud_reloadscheme after I changed the values, vgui_drawtree 1 showed that huddemomanpipes was in the same place and nothing changed. And no, I didn't forget to save. 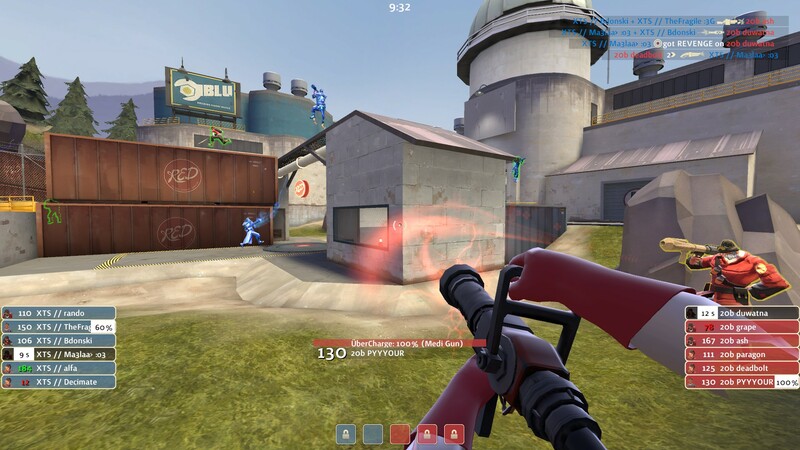 Just move the demoman shield charge meter so that its right under the charge meter for stickies/loose cannon. 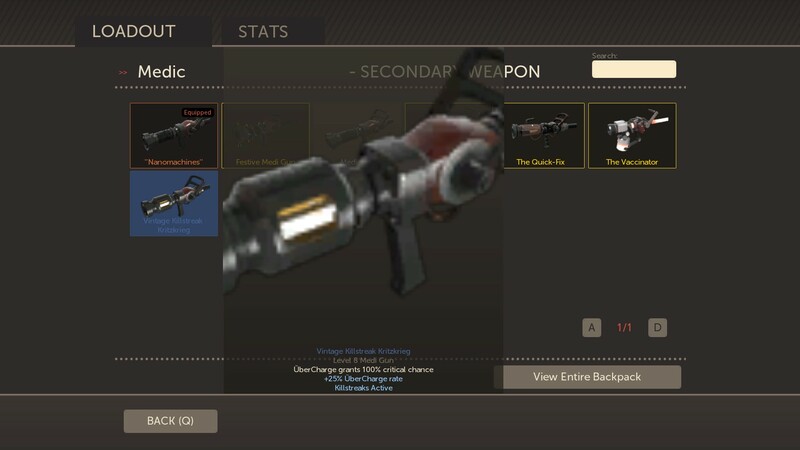 use the scout charge meters as a reference to where I'd want it. Also, if it won't be too much trouble, can you make the sticky count +a shadow for it centered on the screen, right above the loose cannon/sticky meter? Disregard. All I had to do was disable floating health text. Thanks to _Kermit! Can somebody help me fixing the item quality borders for flatHUD ? Done and I also fixed some mistakes you made regarding fonts in clientscheme. [url=https://www.dropbox.com/s/7pmrdkx3lmvvrw4/AMHud.rar?dl=0]Done[/url] and I also fixed some mistakes you made regarding fonts in clientscheme. This includes getting rid of the grey bar. The bar isn't there in spectator in pub etc - seems only to be a tournament mode thing? Also if you didn't know, it includes the team display. 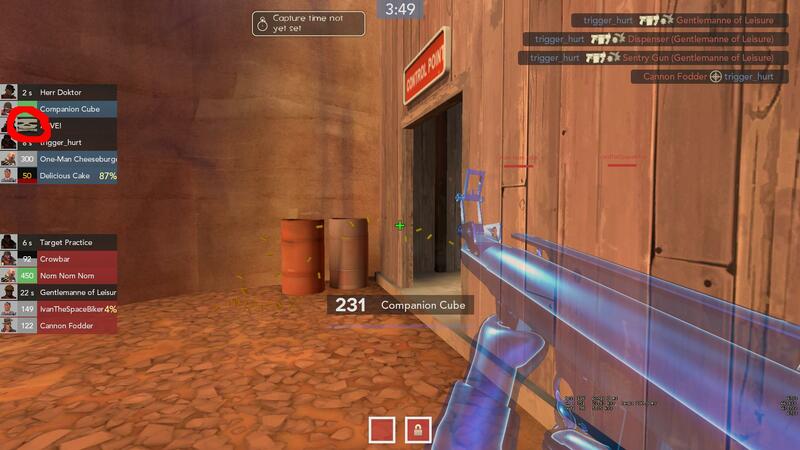 Timer colors for koth also don't show up until I hud_reloadscheme. Not really a big deal, but if I can fix this at the same time then that's great. This includes getting rid of the grey bar. The bar isn't there in spectator in pub etc - seems only to be a tournament mode thing? 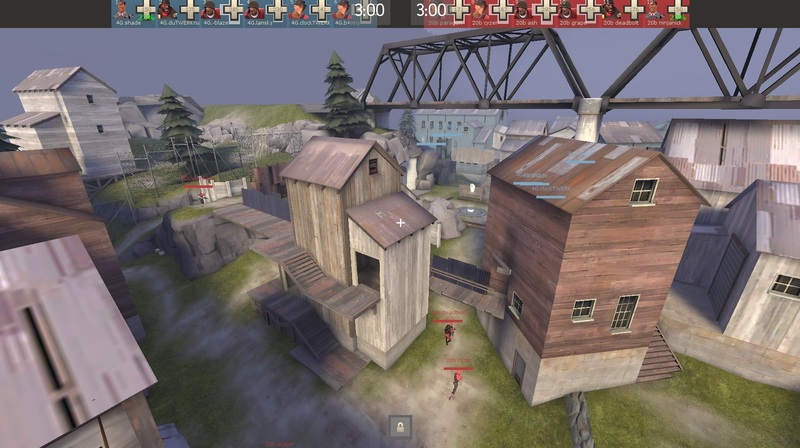 Whichever hud that first screenshot is of, take spectatortournament.res and spectatortournamentguihealth.res and paste them over their counterparts in your own hud. I'm not really sure about the koth stuff though, I've not seen that happen before. rewolfIs there a way to disable the damage numbers above the target while retaining the damage numbers next to your health? Can anyone tell me what this is and how to disable it? Looking to use my free upgrade to Windows 10 this afternoon I get back from work. Has anyone upgraded, and can you comment whether you need to reinstall hud fonts etc?